Happy Sunday, everyone, and greetings from Granite State ComicCon in Manchester, New Hampshire! 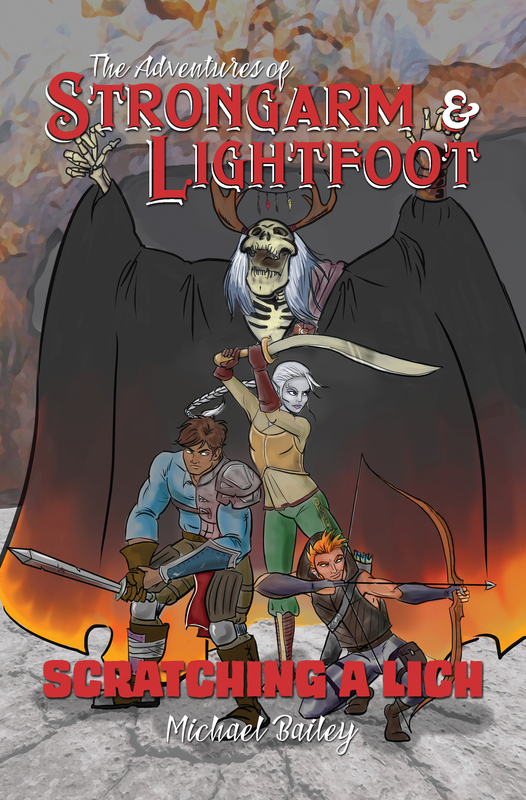 I just wanted to take a few minutes out of the morning to remind you that the Kindle edition of The Adventures of Strongarm & Lightfoot – Scratching a Lich becomes free for five days through Amazon starting at midnight. If you’re a fan of Action Figures but haven’t given Strongarm & Lightfoot a try, now’s the time. And if you are a fan, this is an opportunity to share the series with a friend by giving them a copy as a gift. Rats and my and my friends all ready have purchased copies Rats! and again Rats, oh well to late you have my money and I have your books. Goud luck.